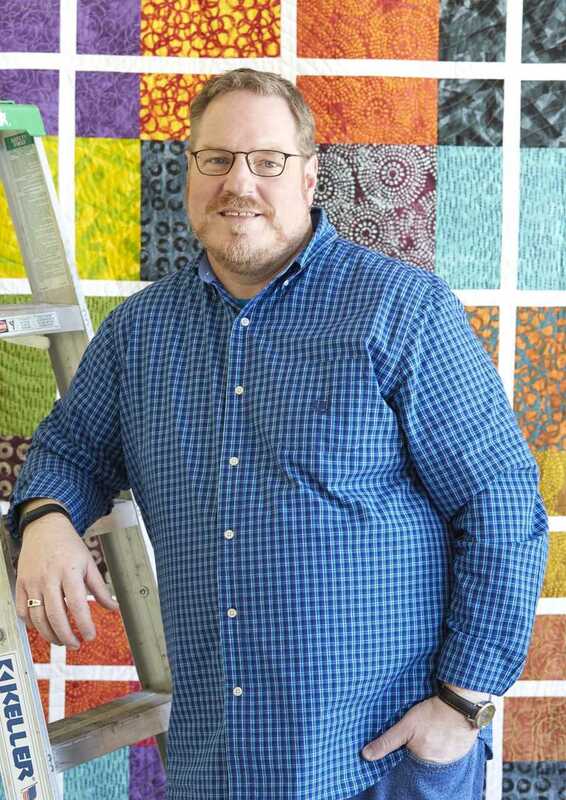 Saturday, July 20, 2019, 1:30 p.m. - 2:30 p.m.
You can add a lot of interest and movement into your quilts with your choice of fabric. Tony will show examples of how you can make simple quilts look like they take a lot more time and effort than they do. Fabric selection is the key to simplifying your quilt making with wonderful results. He will also show how the same quilt design can be transformed from traditional to contemporary to modern based on what fabrics are used. This trunk show will get you inspired to try new approaches to your quilting.